This is an 11 x 17 full-color wall calendar with 14 of your favorite pictures (for the 12 months and the front and back covers)! 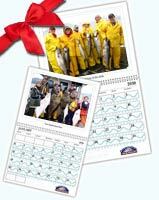 A calendar is an awesome way to commemorate your fishing trip or family memories, and it’s easy to do! Just upload up to 14 pictures, type your captions, and add daily text for special occasions. This means you can have your Alaskan fishing dates printed right on your calendar! You can also personalize your calendar with a tide graph from where you live. Just choose your tide from a list of U.S. stations. What a fantastic gift for your fishing buddies! You can order these calendars shipped straight to your door. Click here to start your order now! 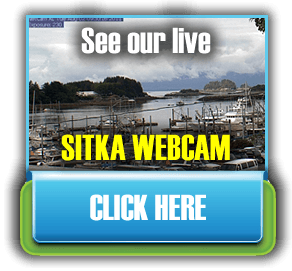 Did you know that you can buy Alaska Premier Charters, Inc. Gift Certificates? These are not only great for Christmas, but they also make wonderful presents for birthdays, anniversaries, or special occasions! You can either have them made out for a specific dollar amount, or for a particular fishing package. (The 3 day/4 night package is a popular option!) Contact us today to learn more. Did you forget to buy Alaska Premier Charters, Inc. apparel while you were fishing with us in Sitka? Now you can order online! Stay warm, be stylish, and walk with pride, when you buy a hat, vest, jacket, and more from our online store! 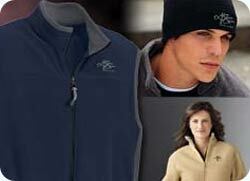 Each item you buy can be customized with your choice of APC logo. Choose from a range of items including: accessories, men’s, ladies’, and youth apparel, headwear, outerwear, sweatshirts, and t-shirts. It’s easy, and shipping is one flat rate.